Andy fading away like a ghost, amidst the pillars of the long and beautiful corridors of the Brown's Beach Hotel, in Negombo - SL. Our stay in the hotel was unplanned, and was the result of a last minute change-of-plans. We had to choose a hotel closer to the airport, to avoid getting stuck in a protest scheduled to happen in Colombo the next day, where we were originally set to camp. You get the feeling that this was an old hotel, in that you could feel how it's not trying too hard to be hip, which is actually great. Like comfy-classic. Arrived at the hotel close to 9pm, so didn't explore the hotel till the morning. The room was really neat - opening onto the beach. 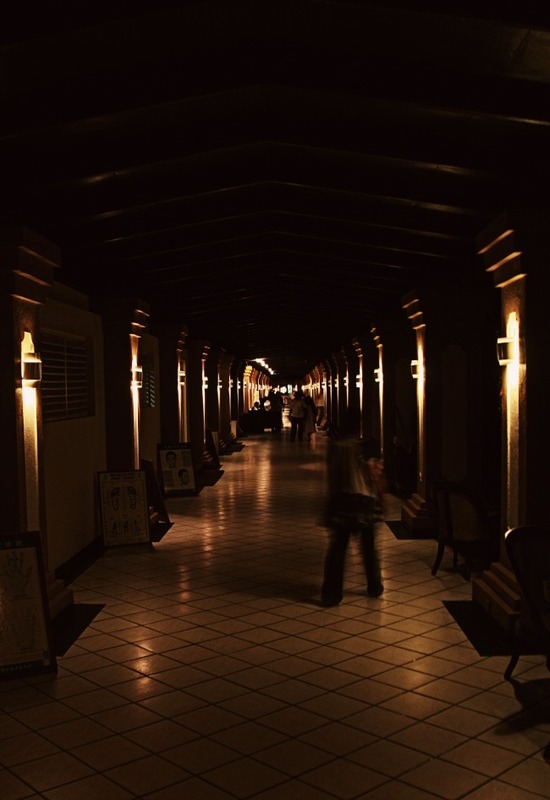 These long corridors run through the width of the entire hotel - connecting the pool, restaurants and passages to the rest of the hotel, like a central nerve. The food was awesome, and the very talented 3-piece-band that played at tables took requests. The lady who sang lead had an absolutely serene voice!